Want to create an app for Safety? Join one of the Federal agency competitions and challenges for developing apps with public safety data. Challenges range from brainstorming ideas to creating applications to proposing research. The National Institute of Justice (NIJ) and Bureau of Justice Statistics (BJS) are launching a collaborative Data Visualization Challenge in support of the U.S. Department of Justice (USDOJ) Digital Strategy. This Challenge seeks data visualizations capable of expanding the use and understanding of publicly available criminal justice data. This is a two-phase Challenge. Successful Phase I (Ideation) contestants will move to Phase II (Creation). Twenty-five thousand dollars in prize money will be awarded to winners of the Creation phase of the competition. Submission requirements, judging criteria, and deadlines are described at the challenge web site. The FDA is calling on America’s innovators to submit concepts applying cutting-edge techniques to achieve revolutionary improvements in the speed of the FDA’s detection methods for Salmonella in produce. Do you have what it takes to create innovative tools to address our nation’s transportation challenges or revolutionize the way Americans see and understand the transportation system they use every day? Your challenge is to create a tool to address systemic challenges by accessing publicly-available federal and/or local DOT datasets. The National Institute of Justice, the National Science Foundation (NSF), and the White House Office of Science and Technology Policy (OSTP) seek to promote the development and evaluation of criminal justice software applications (apps) that are compatible with Ultra-High-Speed (UHS) networks (100 Mbps symmetrical up to 1 Gbps symmetrical). The National Institute of Justice offers this challenge as a call to design and create UHS-compatible apps that measurably improve the efficiency and/or effectiveness of criminal justice and public safety services and operation. This National Institute of Justice Challenge seeks innovative solutions to providing mission-critical voice communications services for law enforcement and other public safety responders within the LTE environment using commercial-off-the-shelf (COTS) technology, which are achievable within five years of the challenge prize being awarded. The proposed solution should ensure mission-critical voice communications in all environments (e.g., urban, rural, wilderness) and in the face of communications infrastructure challenges, such as (1) where there is no terrestrial communications infrastructure; (2) where the existing infrastructure has been compromised or damaged; and (3) confined areas (e.g., subways, buildings, underground garages). USDA’s first-ever Drought Code Sprint is a call to developers across the country to use publicly available government information to help farmers, ranchers, and others gain quick and reliable “one-click” access to information on drought conditions and Federal drought relief. Drunk driving is the most frequently committed violent crime in the United States, killing 10,228 in 2010 and injuring about 345,000 more. Mothers Against Drunk Driving is working to eliminate this violent crime and works to raise awareness of this issue around the end of the year when drunk driving is, sadly, more common. We do this primarily through our Tie One on for Safety public awareness program. This year, we want you to provide an interesting, engaging, and compelling look at government drunk driving statistics in support of the program. The winner of this Challenge will be publicly recognized along with their infographic in MADD’s national Tie One on for Safety press release, issued in November 2012. The U.S. Department of Justice’s (DOJ) National Institute of Justice (NIJ) and other federal agencies have funded research to develop materials, performance standards, and compliance testing methods to help ensure that body armor meets certain minimum performance requirements to protect the officers who wear it. 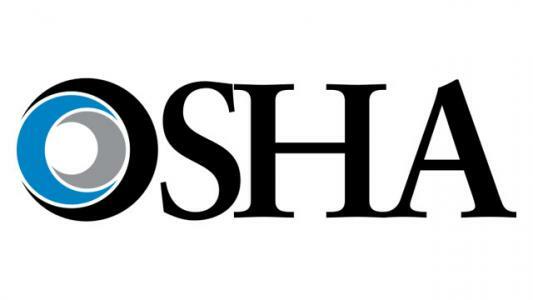 The Department of Labor’s Occupational Safety and Health Administration (OSHA) wants your help in building tools to educate the public about safety in the workplace. Data can improve decision making. This challenge asks you to analyze or visualize Federal Motor Carrier Safety Administration (FMCSA) motorcoach safety and other relevant data to help improve those decisions. We challenge you to make better information accessible to more people to encourage better decisions. Through better decisions we can drastically improve the safety of our nation’s motor coaches. Do you have what it takes to develop an innovative product that benefits motorcoach travelers? The United States Department of Transportation (U.S. DOT) wants to see what you can do!